In 2008 was produced vessel Grand Soleil 37 named Nuvola. This vessel is placed in harbor Puntone in region close to Elba And Tuscany in Italy. 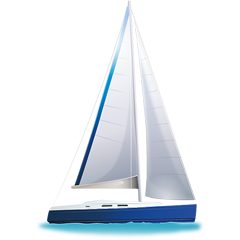 You can take in up to 4 crew members on the sailboat Nuvola. Configuration of beds is 4 +Skipper. There are 2 bedrooms situated under she's deck. Nuvola is equipped with 1 heads with showers. You can get different boats under this link: Yacht charter Elba And Tuscany. Tank for fuel is 140.00 l l. capacious , water container has up to 330.00 l l. In this sailboat is installed motor 40. With 11.60 m of lenght overall and 3.68 m of width Nuvola offers enough space for comfortable sailing. Grand Soleil 37 Nuvola is equipped with: Solar panels, Inverter 12v-220v, Autopilot, Plotter gps in cockpit, Gps, Mainsail with lazy jack, Radio / cd player, Heating, Anchor electric windlass, Teak cockpit, Dinghy, Outboard engine. . Security caution has value 2500.00 EUR. Use our website to find our offer in this site: Yacht charter Puntone.